Not in Hall of Fame - The Baseball Hall of Fame Class of 2018 is announced! This is one of the days that we eagerly await annually as we now know who will comprise the Baseball Hall of Fame Class of 2018. Chipper Jones, Jim Thome, Vladimir Guerrero and Trevor Hoffman have been chosen as all three received the necessary 75% of the vote from the Baseball Hall of Fame voters. Jones, who played his entire career with the Atlanta Braves, is the highest vote getter this year with 97.2% of the ballot. Jones is one of the greatest hitting Third Basemen in history accumulating 2,726 Hits with a Slash Line of .303/.401/.529. The 1999 National League MVP also belted 468 Home Runs. Vladimir Guerrero enters the Hall on his second try. 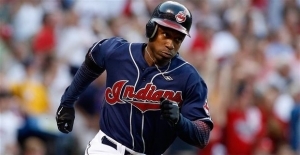 The 2004 American League MVP and nine time All Star received 71.4% of the vote last season and easily cruised into the Hall this year with 92.9%. Trevor Hoffman enters the Baseball Hall of Fame on his third try and becomes the sixth Relief Pitcher to be inducted. 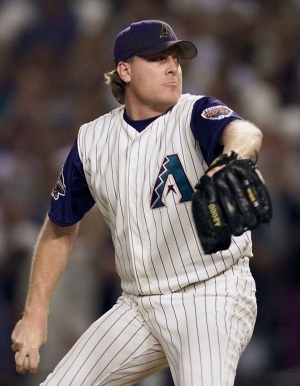 Hoffman is second all-time in Saves and is a two time runner up to the National League Cy Young Award. Hoffman finished with 79.9% of the vote. Now let’s take a look at those who were not chosen. Edgar Martinez made another significant jump in the votes. He went from 43.4% to 58.6% and this year he went to 70.4%. This is the ninth year that the Designated Hitter was on the ballot and he is considered to be the best ever at that position. Martinez was tracking well and was projected to be inducted this year but he should be able to get in next year. Mike Mussina saw his total rise from 51.8% to 63.5%. Sabremetrically speaking, Mussina remains one of the biggest snubs on the ballot, but he has only been on the ballot for five years. This increase could see him enter Cooperstown next year but this double digit rise will bring him induction eventually. Barry Bonds remains a polarizing figure for the Baseball Hall of Fame, but PEDs or not, this was the best hitter of his era and arguably of all-time. The career Home Run Leader and seven time MVP received 56.4% up from 53.8% from last year. Roger Clemens is in the exact same boat as Bonds. “The Rocket” was also the best of his generation and is a seven time Cy Young Award winner, though he is a two time World Series winner (unlike Bonds). His numbers increased to 54.1% last year and reached 57.3% this year. The increase (albeit mild) of both Bonds and Clemens votes shows that the voters are becoming more forgiving of the PED era (with many citing the induction of Bud Selig as a catalyst for their change of heart) and it is also indicative of an influx of younger voters. This is the sixth year on the ballot for Bonds and Clemens and there is certainly hope on the horizon for both; something almost unthinkable three years ago. Curt Schilling has Hall of Fame numbers but he did not exactly endear himself to voters with his anti-media stance and he was one of the few players to see his total decrease last year. He had 51.2% of the vote, which is up from last year’s 45.0% but down from 2016’s 52.3%. He may still need to grovel to the media for his upswing to resume. Omar Vizquel is also on his first ballot and he received 37% of the vote. The Shortstop won eleven Gold Gloves and is regarded as one of the best defensive players ever. Vizquel also had 2,877 career Hits. He should be very happy with this debut number. Larry Walker did see his total rise from to 34.1% but he is running out of time. The former National League MVP is still suffering from the Coors Field market and he has only two more years on the ballot. Fred McGriff continues to tread water. “The Crime Dog” was only at 23.2% of the vote, which is his ninth year on the ballot. The First Baseman finished with 493 Home Runs but has never finished higher than 25%. 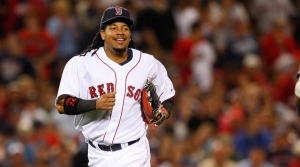 Manny Ramirez continues to struggle in his Hall of Fame voting. Ramirez has incredible career numbers, which are definitely Hall of Fame worthy but he was suspended twice for PEDs, something that did not happen to Bonds and Clemens. His tally was 22%, down slightly from last year. Jeff Kent received 14.5% of the vote and with this being his sixth year on the ballot it is not looking good for the 2000 National League MVP. Gary Sheffield received 11.1% in his fourth year of eligibility. “Shef” needs Bonds and Clemens to get in to have any real shot of getting into the Hall of Fame. He is a nine time All Star with 509 career Home Runs. Billy Wagner received 11.1% in his third year of the ballot, which is enough to keep him on the ballot. Scott Rolen only finished with10.2 on his first year of eligibility. Rolen’s biggest asset is his 70.0 bWAR but his traditional metrics will still give him a look for years to come. He should see his numbers rise in upcoming years. Sammy Sosa held on with 7.8% of the vote. He is unlikely to make it to Cooperstown. 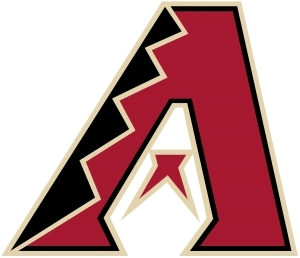 Andruw Jones received 7.3% on his first appearance on the ballot. The native of Curacao has over 400 Home Runs and is a four time league leader in Defensive bWAR. Three notable first timers on ballot did not make it to 5%, that being Johan Santana, Jamie Moyer and Johnny Damon. The others who did not earn enough votes were Chris Carpenter, Livan Hernandez, Orlando Hudson, Aubrey Huff, Jason Isringhausen, Carlos Lee, Brad Lidge, Hideki Matsui, Kevin Millwood, Kerry Wood and Carlos Zambrano. These three will join previously chosen Veterans Committee Selections, Alan Trammell and Jack Morris and Ford C. Frick recipient, Bob Costas. We will be revamping our Notinhallofame.com Baseball list shortly. Look for that in late February. We here at Notinhalloffame.com would like to congratulate the newest members of the Baseball Hall of Fame. We don’t know about you but this is the most excited that we have been in years about a Hall of Fame Class! The biggest disappointme nt for me was that Johan Santana didn't get at least five percent to stay on the ballot. Next comes Edgar Martinez falling short. Another Tim Raines-type of nail-biter next year. Otherwise, not too many surprises although I didn't think that Chipper was going to kill it the way he did. I mean, he's great--but he had a higher vote total, on a crowded ballot, than Babe Ruth, Ted Williams, and Willie Mays. And, yes, a very satisfying announcement overall. 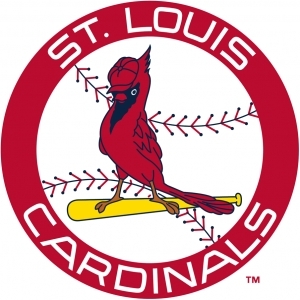 BBWAA voters are trying to clear the ballot logjam--yay!